In this latest feature I speak with photographer and vlogger Chris Gouge; a traveller, wild camper, and life enthusiast. When I first encountered Chris’s work I was stunned by the quality of his photography and the atmosphere that flowed through his images. And when I started reading more, I just knew that he was a perfect fit for this website. Chris is a man that the majority of us will be able to relate to because in his earlier years he had no idea what he wanted to do with his life. He didn’t see himself as a photographer or even as a creative person, but through the act of trying new things and expanding his comfort zone, the clarity came and his passion began to grow. With his desire to make the most of life and to live without regret, Chris is able to appreciate all of the beauty that can be found in the world; including the hidden gems that can be found right on our doorsteps. 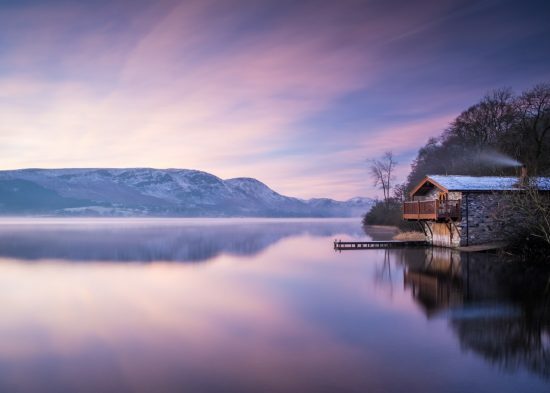 The experiences don’t have to be extreme, and the adventures don’t need to cost a fortune, but what he does is done to the fullest; and he captures it all through the lens of his camera. Oh, and he absolutely loves cheesecake, which makes him somebody that I can DEFINITELY relate to! But before I get started, it’s probably best if you take a look at this fantastic video from Chris’s website which gives you an idea of what he’s all about. 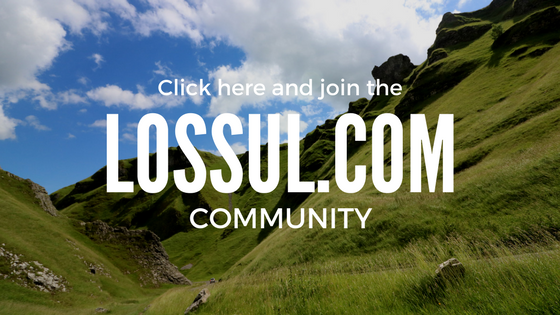 Elliot – Hi Chris, and welcome to Lossul.com! I can’t wait to get this interview started and there’s so much that we can cover. But let’s start at the beginning with the very first thing that caught my attention. It’s clear that you have a passion for travel and for finding all the hidden gems that are right on our doorsteps; that’s certainly something that I can relate to. But what stands out, above all else, is your love of photography and the ambitions that you have for it. Could you please start by telling us how this passion for photography first began, and what it is about photography that you enjoy so much? Chris – Hi Elliot. Thank you very much for interviewing me and for inviting me to your community. I found my passion for photography almost by accident. I had always appreciated good photography and would look at it with admiration but it wasn’t something that I ever thought I would be good at. I never thought of myself as being creative in that way and so I just never tried it. I studied Media Production at college however, which focused on video production. My college made us do an ‘elective’, an extra module which didn’t actually count towards our degree. I saw this as just a waste of time, taking time away from the course I’d actually signed up to do, so when we were given a list of subjects to choose from for this extra module, I saw photography on the list and thought, well if I’m going to be forced to study something extra, at least photography will be a bit of fun. As soon as that module started I instantly connected with it and I just fell in love with it straight away. I discovered that actually I could be quite creative and artistic and that actually I wasn’t too bad at it. The thing I love about photography is the challenge of trying to capture the world in front of you, trying to show all of its beauty, in a creative and interesting way. I also simply love being able to put something out into the world that previously did not exist. It’s very rewarding to look at a photo and think “I did that”, “without me that photo would not exist” – I think that’s actually quite a powerful thing. It’s crazy to think that I never used to think of myself as being creative at all, as I’ve now found that that is EXACTLY who I am. I love being creative and can’t think of doing anything else now. It just goes to show that you should never doubt yourself or make your mind up too early about the type of person you are, because you never know what you actually could be capable of. Elliot – There really is so much irony in what you’ve just said; taking on an extra course that you thought would be a waste of time, yet in reality it’s allowed you to find what is quite possibly your calling in life. And on top of that, you never saw yourself as being a creative person, yet the reality is that you most definitely are. I can totally relate to what you say about putting something out into the world that never previously existed. That’s the greatest reward that comes with being a creative person; you produce content rather than just being a consumer of it. With this in mind and before I move on to my next set of questions, what advice would you have for anybody that is feeling lost or without a sense of purpose? And how does a person get closer to discovering their own calling in life? Chris – I would just say, don’t make your mind up about what you can or can’t do too early. We tell ourselves stories all the time about why we’re not good enough, or why we don’t have something. We make our minds up about the type of person we are or are not – but it is those ‘stories’ that restrict us and hold us back and many times they are not even true. As my example shows, I decided early in my life that I was more of an academic person and was not at all creative, how wrong I was! I may have failed college but it was one of the best things to happen to me as it allowed me to truly find myself and realise who I actually am. If you have no idea what your calling is in life (I didn’t for a long time) just try as many things as possible. Try things you wouldn’t normally try, new hobbies, new books to read, travel to new places, meet new people, take up a sport, try as many things as you can and don’t be afraid to try something you wouldn’t normally consider is right for you. Eventually something will find you and you may well be surprised. Elliot – You’ve written so many true and powerful words there and it would be such a temptation to delve deeper into the subject of perceived failures, negative self-talk, and the benefits of trying new and different things. But I think I could take this interview on a completely different tangent to that which we’d intended if I’m not careful. Taking things back to your photography, would you say that your favourite subject matter is travel? Or do you like to focus on other themes also? And what images in particular are you most intent on capturing? Chris – Travel incorporates a lot. It can include landscapes, cityscapes, street photography, portraits, anything which tells the story of a place and that is what I enjoy in my photography. Traveling and exploring new places is another passion of mine and so doing that with my camera is just a natural fit. My photography is all about trying to capture things outside of my control. Using only my skills with a camera to create as nice an image as I can of the world in front of me. If I’m walking the streets of a city, I have no control over what happens or the characters on the street, if I’m hiking up a mountain, I have no control over whether or not it suddenly becomes overcast and starts raining. But it is that challenge of trying to capture life’s beauty without being able to fully control it that I enjoy. I have no interest in studio photography for example where you have set designers, make up artists, artificial lighting etc so that everything is created perfectly for you and all you then have to do is press the shutter. That is not what I am about. Elliot – It sounds as though you’re far more about capturing moments authentically rather than creating them superficially. And in many ways, maybe that transposes into your travelling where you’ll adapt to your environments and see where the day takes you, rather than forcing things to fall in line with how you imagined they’d be. Do you have a favourite piece of photography that you can share with us? And could you tell us a story that goes with it? Chris – Yes I definitely like to capture moments authentically. I try to be authentic in everything I do, I do very little post processing and don’t use photoshop, trying to get everything right in camera instead. Even on my YouTube channel I try to be as authentic as I can, I don’t play up to the camera or try to replicate anyone else, I’m just myself and show all of my mistakes as well. I think people relate to authenticity. As for a favourite photo, I definitely couldn’t pick one. There are several that I am very happy with and there’s never just one that stands out above every other. Generally as well I am very hard on myself and have very high standards with my photography so rather than looking at them thinking ‘that’s brilliant, I done good there’, I’m usually looking at them thinking of how I could have done better. One photo that I do really like is this one I took in Rabat in Morocco. I always had a vision of this image that I wanted to create when I was there and thankfully while I was in these colourful little alleyways I heard some children running behind me so I crouched down and waited and just took a photo at the perfect moment. Street photography is particularly hard because you have no control over anything, you just have to have a good eye and react to things so I’m particularly happy when things come together when I am doing street photography. 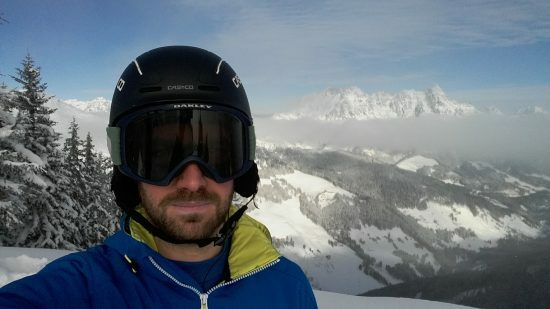 Elliot – Thank you for sharing your photo with us. Something like that definitely cannot be posed for or scripted, and you’ve certainly managed to bring the street to life and to capture the moment so well. I can almost hear the sound of the children playing and the sound of their feet hitting the concrete as they run between those walls, the colour of which is so vivid. 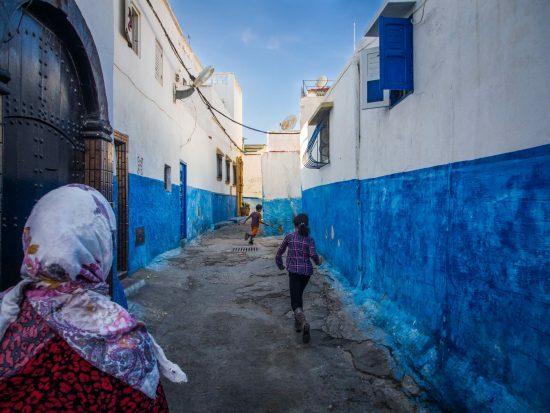 You’ve talked about street photography and have just mentioned Morocco, and from your website it’s evident that you have a passion for travel. With that in mind, what kind of places do you like to travel to most and what is it that you’re attracted to when you’re picking your next destination? And finally, what have been your best trips so far and what made them so special? Chris – I like a whole variety of things. Sometimes I like city breaks and photographing the hustle and bustle of a city and the man-made structures etc. Other times I like to be secluded in the mountains appreciating the beauty of nature. I appreciate them both equally. I always struggle to choose the next places to go because not only are there so many new places I want to go but I also want to return to many of my favourite places too. One of my absolute favourite trips so far was my latest visit to Norway where I went to Tromso to try to photograph the Northern Lights. We were really lucky on our first night and had a fantastic display of the lights. To have such a good display as my first time ever seeing the northern lights was one of the best experiences of my life. Elliot – Oh man! 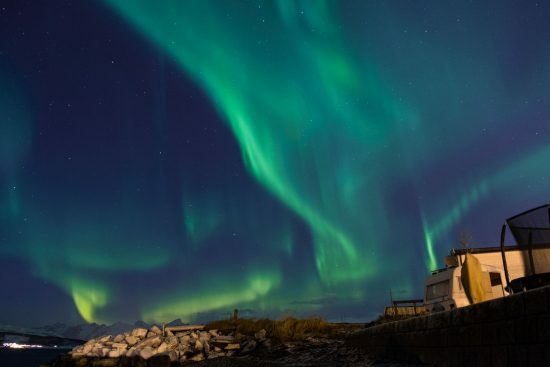 So that now has me super envious as I went to Iceland earlier this year in the hope of seeing the northern lights, but after three nights and three cancelled trips, it just never happened for me. It sounds like it was amazing for you though! Your love of travel certainly comes across in your last answer and I know that one of your key drivers is to get out there more and to start discovering some of those hidden gems. You’ve also expressed a passion for wild camping which is something I’ve gotten into myself over the past couple of years too. Could you tell us a little bit more about your wild camping adventures and how you got into it? And finally, how does all this tie in with the discovering of hidden gems? 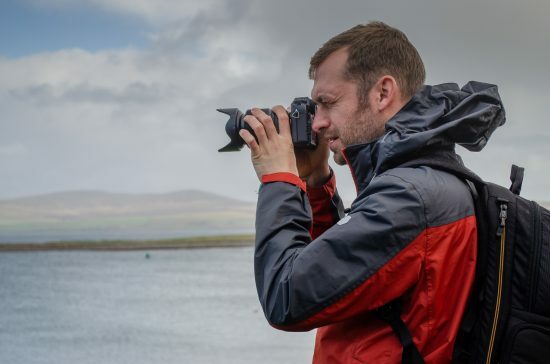 Chris – I mainly got into wild camping through my love of photography. The best time to take photographs is during sunrise and sunset, the problem though is that particularly in the summer, sunrise is very early and sunset is very late. So if you’re wanting to photograph sunrise from the summit of a mountain, rather than waking up ridiculously early to drive to the location and then hike up in darkness it is far easier to hike up during the day and then pitch up a tent for the night. So it was really a desire to get some good landscape photography at sunrise that really got me doing it. As well as it just being easier though, it is also so much more rewarding. Waking up, unzipping your tent and the first thing you see is the sun beginning to rise over a beautiful landscape really cannot be beaten. If anyone has never tried wild camping before I would highly recommend it, the whole experience of being alone, or with a friend, in the wilderness, surrounded by stunning natural beauty, the peace and quiet, cooking on a stove in such a beautiful environment, it really is a great experience and so even if I didn’t have my camera now it is still something I would do. For me though, in terms of discovering hidden gems, wild camping gives me the opportunity to photograph places that otherwise I would struggle to get to with my camera. Elliot – I completely understand where you’re coming from with that and I’m sure that the majority of sunrise/sunset photographs that we see has involved a photographer having to wild camp. Wild camping is certainly something that I’ll be engaging in a lot more over the coming year and it’s something that will feature heavily on this website. I have my own ideas about correct wild camping etiquette, but what would you say are the main principles and behaviours that make wild camping acceptable? 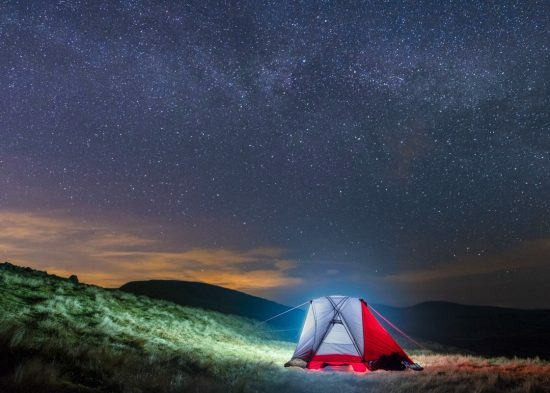 And finally, could you maybe share with us one stand-out moment that you’ve experienced when wild camping? Chris – Well wild camping is actually illegal in England and Wales, however it is tolerated and accepted in the Lake District and is absolutely fine on public land in Scotland. Essentially you just need to ‘leave no trace’, so take all your rubbish with you, don’t damage the land in any way, choosing a quiet spot, so you shouldn’t be camping in large crowds for example. You should also be packed up and away before the crowds and other walkers start showing up. 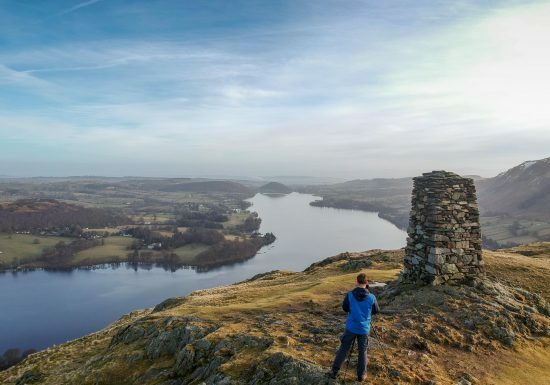 As for the Lake District in particular as long as you camp above the highest fell wall and away from towns and villages and stay for just one night then you will be fine. As for stand out moments, I honestly can’t think of one particular thing as every wild camp has been just as enjoyable and a true, unique and memorable experience. Certainly though the stand out moment every time I do it is the moment I open up my tent and am instantly greeted by an unbelievable, view of nature and the great thing is that every time, every view is different. Elliot – You’re absolutely right. That feeling when you open your tent in the morning and are greeted by a stunning view and are surrounded by nature is absolutely priceless. I can’t wait to get back out there this year, but I might just wait for it to warm up a little first, hahah. Well that very nearly wraps everything up now Chris, but before we bring the interview to a close, could you please give us an idea of what we can expect to see from you in 2019. And finally, go ahead and give yourself a plug and let the readers know how they can follow up with you. Chris – Thanks Elliot, it’s been a pleasure. Well I have big hopes and plans for 2019 and I’m really excited for the year ahead. My main aim this year is just to go on more adventures and spend more time doing the things that I love. I really think that adventure is something that can be found in all of our daily lives. It doesn’t have to be something huge like climbing Everest or travelling the world for 6 months, it can be something small like going on a bike ride, exploring somewhere new, entering a race, learning a new skill or instrument, going for a swim in a lake. For example, in one of my latest videos, I went to my train station, walked to the ticket machine and on the list of destinations, closed my eyes, randomly hit out at the screen and bought a ticket to wherever my finger landed. It was a great day out! I firmly believe that no matter what your circumstances are or what your financial situation is, there is always an adventure to be had – and that’s a message I’m really pushing on my YouTube channel now. So as I seek out more adventures, you can follow them all on my YouTube channel or Instagram – which I hope will encourage others to do the same in their lives. Elliot – Thank you again Chris and I stand whole-heartedly by what you’ve just said there; adventure doesn’t always have to be about huge monumental things, and it can indeed be found in day-to-day life and without having to venture too far. Living an adventurous life is a conscious choice, and it’s one that we can all make. Well there’s a long-standing tradition here on Lossul.com that involves closing these interviews with a completely random and totally off-topic question. Sometimes I propose scenario-based questions, but this time I’m going to ask something pretty straight-forward. What would you rather do and why? Be taken on a journey into space, experience zero gravity, and have lunch with an alien? Or fly on the back of a dragon, sky dive back down to earth, and then high-five a unicorn? Chris – Crikey! For someone who loves an adventure they actually both sound equally terrifying! Haha. I actually only got over a fear of flying not too long ago. I used to be completely terrified of it to the point where I didn’t even look forward to holidays when they were coming up – I was too nervous. Because I love travel so much though and exploring new places I never let it stop me and so I’d always book a lot of holidays in spite of it. Eventually because I did it so much I gradually got over my fear of flying and now it doesn’t bother me one little bit. So if you’d asked me a couple of years ago there’s no way I’d want to do either of those things. Now that I am over that fear though I think going into space and experiencing zero gravity would be an incredible experience so I’ll go with that. Although it does make me sad that I’d miss out on high fiving a unicorn! Thanks so much for the interview Elliot and good luck with all your own future adventures! So there you have it everybody. Please do check out Chris’s website which you can find by clicking here, and please do also have a look at his vlog which you can find over at You Tube. 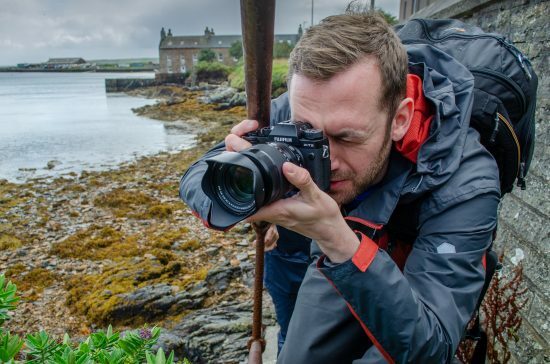 Chris has been a great guy to work with and I’m sure you’ll all join me in wishing him all the very best as he continues to follow his passions and to pursue a career in travel photography. I checked out Chris website and I was hooked by his incredible photos. He’s a true artist with a distinct visual style. His beautiful website is well worth following. He definitely gained a new fan. Here is a random question for you: If you had a choice between two superpowers, being invisible or flying, which would you choose? Keep up the great work Elliot!!! Thank you as always for commenting and I’m really pleased you enjoyed this feature. Chris was great to work with and I was really excited about getting the feature published as his enthusiasm for life comes across in all that he does. And it’s great that the ‘people’ features mean so much to you, and I’ve got to say that they’re really special to me too. It’s such a great thing to be able to work with so many inspiring people, to learn from them, and also to be able to help share what they do with a new audience. I have some more coming together as we speak, so watch this space for more ‘people’ features coming soon. As for the superpower, for me it’s got to be flying. 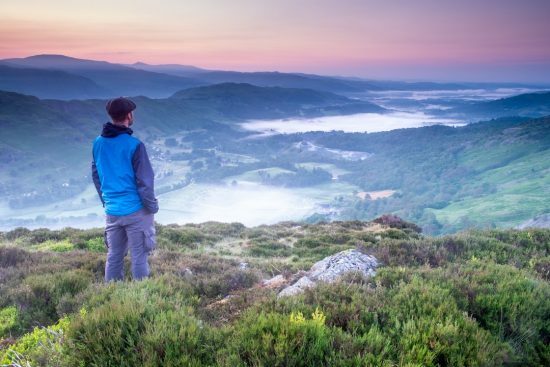 Being invisible would be a whole lot of fun, but being able to fly would make travelling so much easier, and cheaper, and I’d have been able to find THAT TARN so much quicker on that second wild camp, hahah. How about you Katy? Which superpower would you prefer and why? Thanks for your quick reply. As for the super power…the dilemma of finding your own hell. As much as I love the idea of turning invisible (especially at work… Hahaha), I think the power itself has an air of creepiness about it, and I generally don’t like to be creepy. So I would choose flying. This can be good in skipping traffic, and getting on your appointments on time. And I would fly to my favorite places. So I would choose flying, while living a normal life, except the fact that I can fly, with a chance of getting shot because some hunters thought that I am some bird or something…. Hahaha. Lookin forward to your next post. Take care my friend. Hey Katy, yes you’re right about the creepiness factor, hahah, flying is most definitely the winner here! Well there’s more new posts coming soon. Right now I just don’t have enough hours in the day to get them done quickly enough, but they’re definitely on their way.